NEWBURGH—U.S. Rep. Sean Patrick Maloney (NY-18) joined local leaders on July 6th in front of one of the abandoned properties in the City of Newburgh to announce legislation to help homeless veterans and renovate “zombie” or abandoned properties. 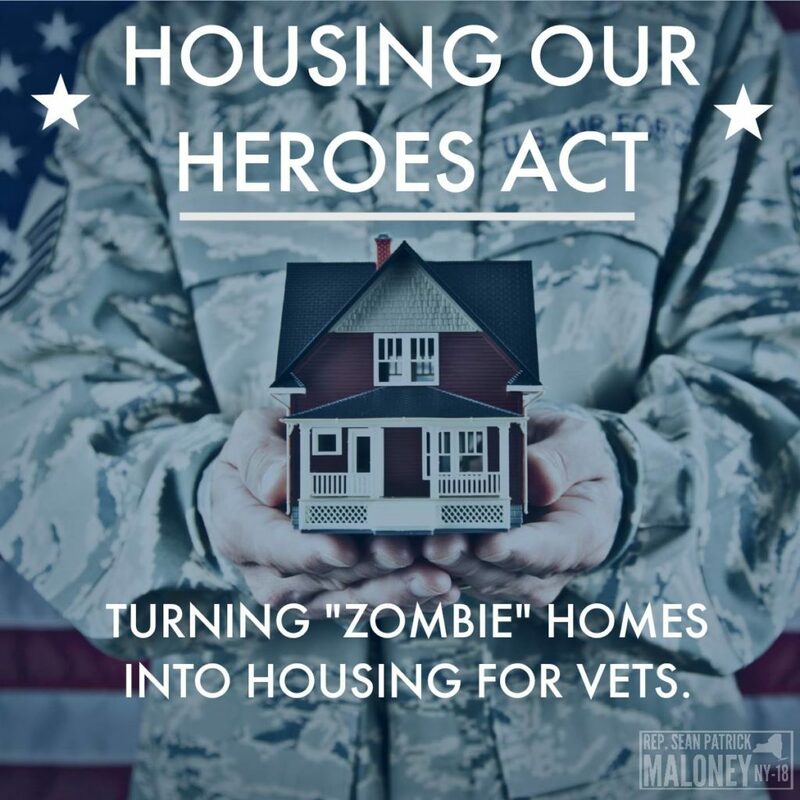 The “Housing Our Heroes Act” would create a pilot program within the Department of Veterans Affairs, which would provide federal investments to Veterans Service Organizations to acquire and update blighted properties to provide housing for homeless veterans. The Housing Our Heroes Act would create a three-year $25-million pilot program within the VA to provide grants to VSOs and other non-governmental organizations to acquire and update blighted properties for the purpose of housing homeless veterans. The program would help put previously homeless veterans on the path to homeownership by enabling them to start repaying the VSO after a year of occupancy. Additionally, the program would improve neighborhoods by restoring abandoned properties, increasing property values, and encouraging growth. Despite recent progress, nearly 40,000 veterans remain homeless across the country with approximately 1,300 of those residing in New York State.